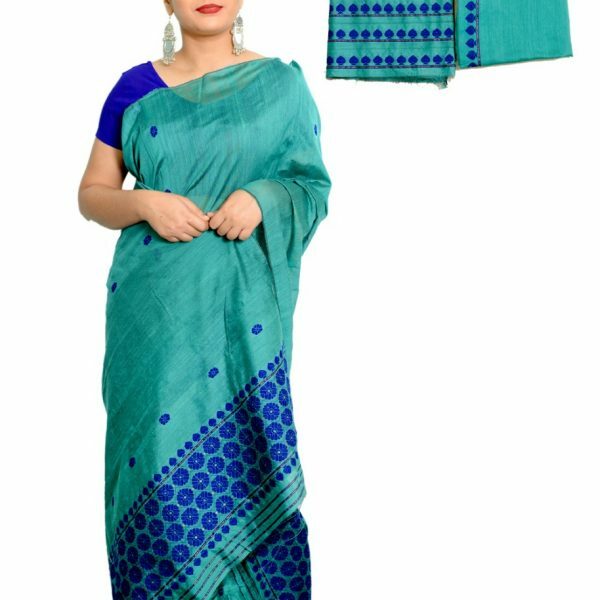 Hand weaven Padmini material Mekhela Sador set in Sea Green Colour with navy blue Floral work is beautifully designed on both Mekhela and Sador. 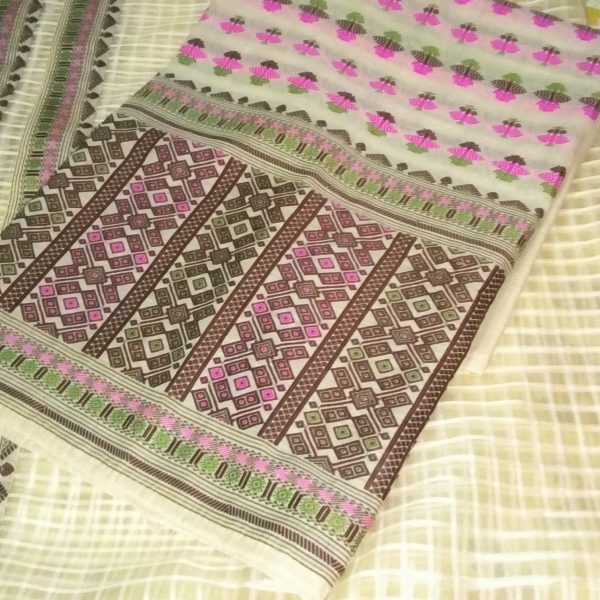 Blouse piece and Side border of the Sador is available. 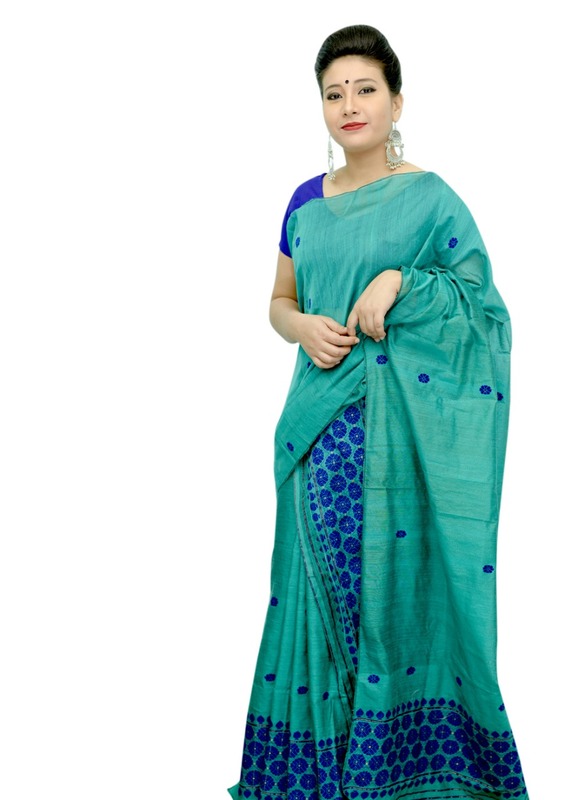 Very comfortable to wear this Mekhela Sador in Summer season too. 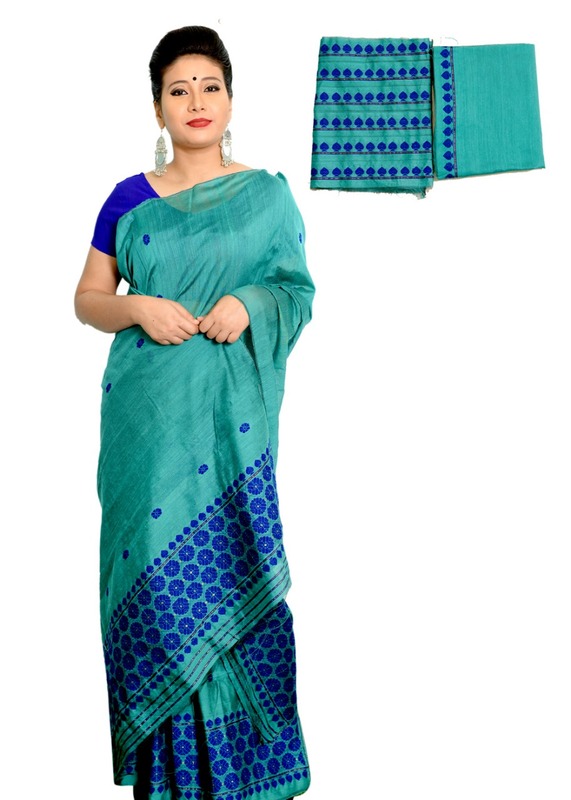 All ages women,girls can wear this Mekhela Sador set occasionally. You can look more attractive by using matching ornaments with it.